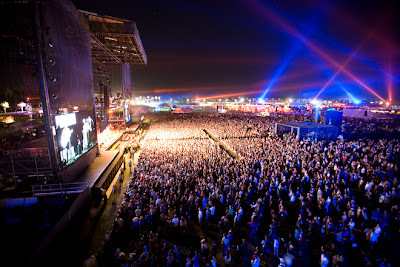 Lush Fab Glam Inspired Lifestyle For The Modern Woman: A Look Back At 2012 And The Allure Of Music Festivals. A Look Back At 2012 And The Allure Of Music Festivals. From Coachella in California to Lollapalooza and Glastonbury in England, 2012 was a marvelous year for music lovers, musicians and the music artists who performed at music festivals all over the globe. The media, blogs and tabloid coverage of the celebrities in attendance, superstars performing and the festival fashion was incessant. In 2012 while the U.S and most of Europe was still recovering from the recent recession, tickets for festivals like Coachella which cost a whopping $349 sold out in as little as 3 hours. As the word spreads and music festival attendance continuously increases from year to year, it's become a lucrative and profitable business. Not just for the venue hosts, ticket sellers and performers, but also for the local vendors, caterers and businesses who take care of the event supplies and concession machines. Where music festivals are concerned consumer confidence is at an all time high and rightfully so as the thousands in attendance get lost in the allure of the music. Have you attended a music festival? What was the best part of the experience? Leave a comment below.